3rd Annual Tractor Pull Rain Date is COMING UP! The Walkersville Volunteer Fire Company in conjunction with the Central Maryland Antique Tractor Club, presents our 3rd annual Tractor Pull! Saturday September 1st! DON’T FALL FOR THIS SCAM! BE ON THE LOOKOUT FOR THIS FAKE FUNDRAISING MAILER! 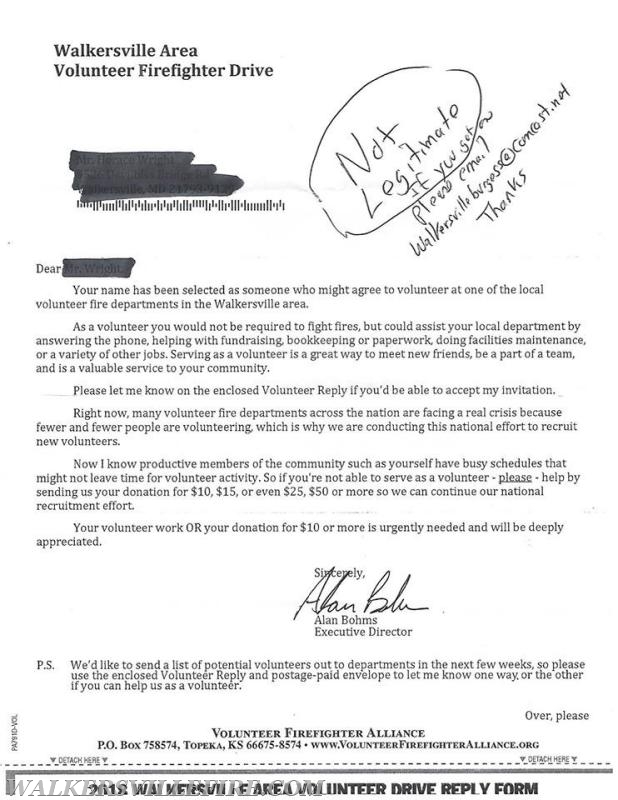 Please be aware that this WALKERSVILLE AREA VOLUNTEER FIREFIGHTER DRIVE FLIER that has been circulating in our area is not from a local fire department. It is an organization in Kansas requesting funds. 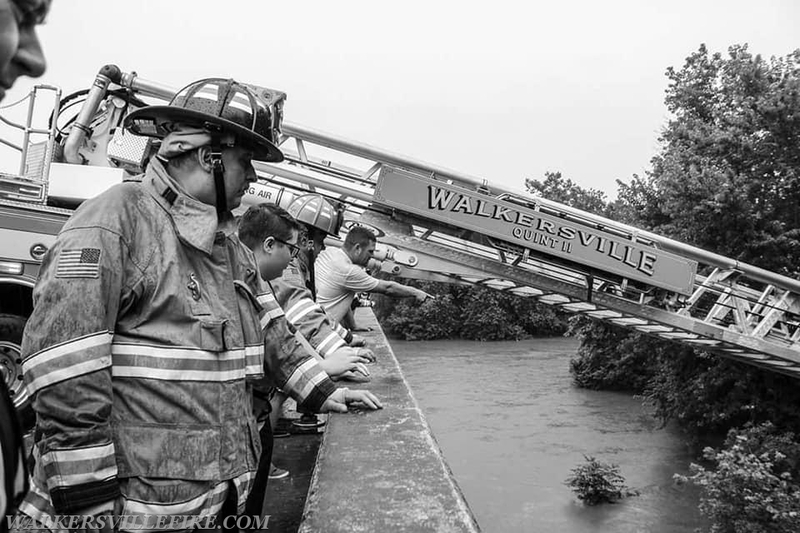 The Walkersville Volunteer Fire Company is NOT conducting a mailer fundraiser. WE DID NOT MAIL THESE OUT and we are not requesting donations from such a mailer. We do not rally for support in this manner. If you receive one of these SCAM MAILERS, DO NOT RESPOND TO IT and please let us know on here or email walkersvilleburgess@comcast.net . Pass this one to people you know who may receive one. 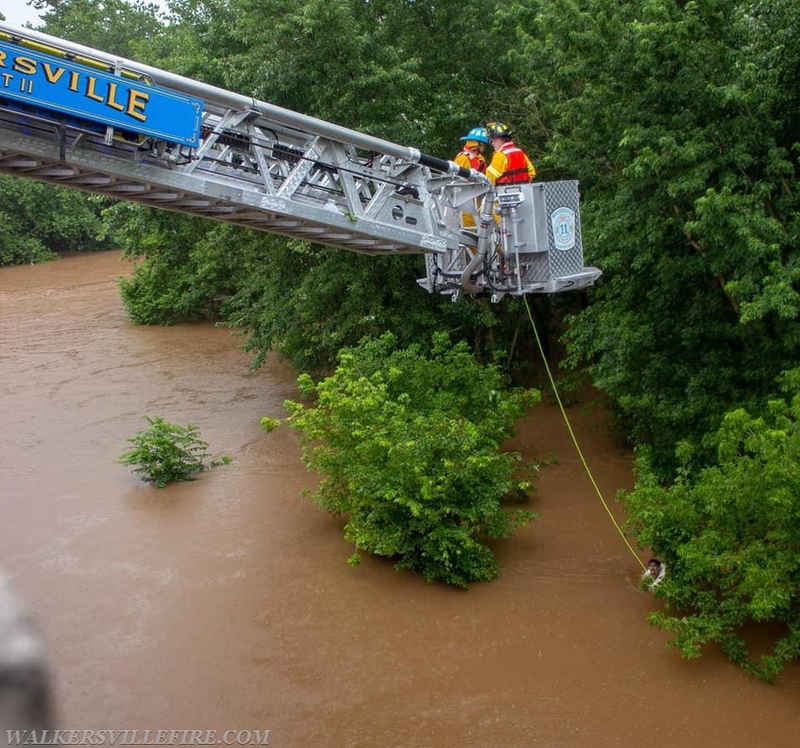 The Walkersville Volunteer Fire Company was first due for a water rescue on the Monocacy River at Devilbiss Bridge on Sunday, July 22nd, 2018. 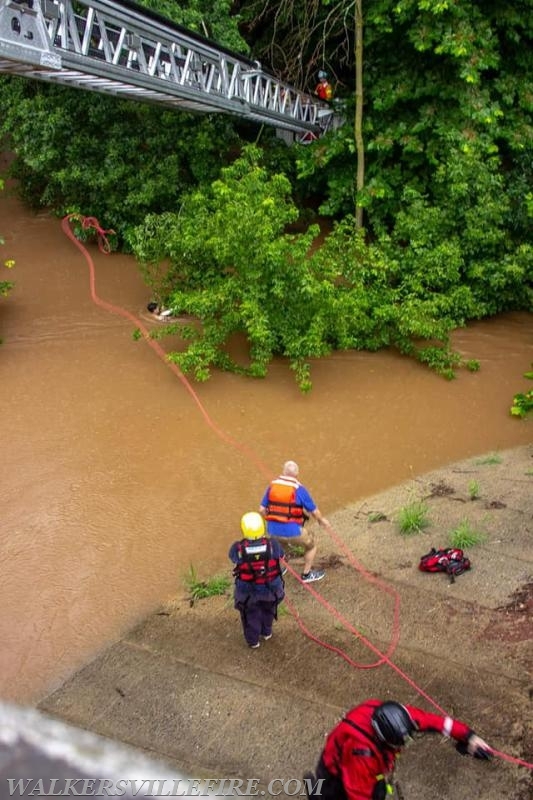 Units were dispatched for a full Swift Water Rescue assignment around 3pm July 22nd – 2 subjects in the water hanging on trees after their boat capsized. Units responded on TAC Channel, along with Deputy Chief Chad Barrick, Battalion 902, and Chief 24. Deputy Chief Barrick was first on the scene and confirmed 2 victims in the water, hanging on the trees – at which point he established Devilbiss Bridge command. Command assigned Battalion 902 Boat Division under the bridge and prepared to launch the boats. 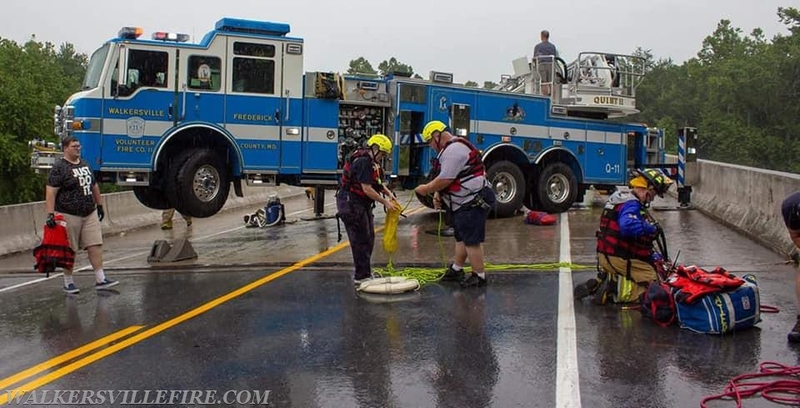 Quint 11 was assigned to take position on the bridge in order to reach the victims with the Quint basket. Quint 11’s crew set up and deployed a rope and life ring to the first victim. 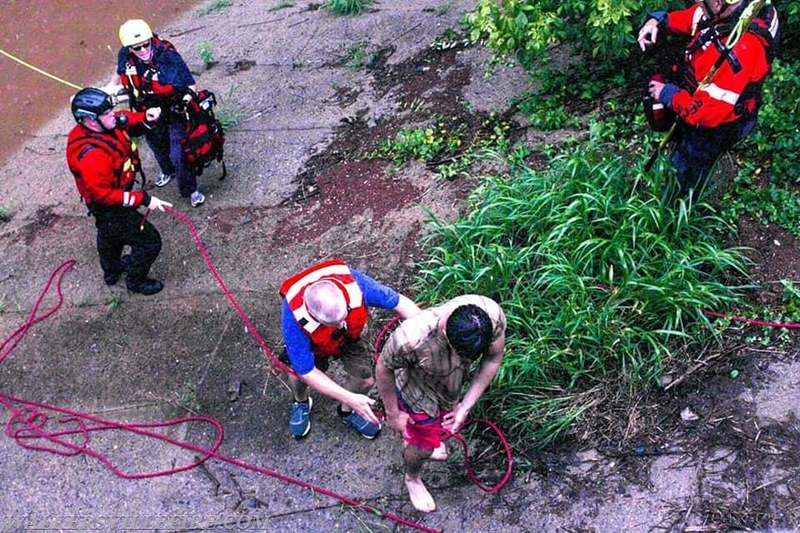 Ground Units from the ATR Team threw a rope to the victim with the life ring and were able to pull him ashore. Quint 11 extended the basket approx. 85 feet to the second victim and were able to pull him into the basket to safety. 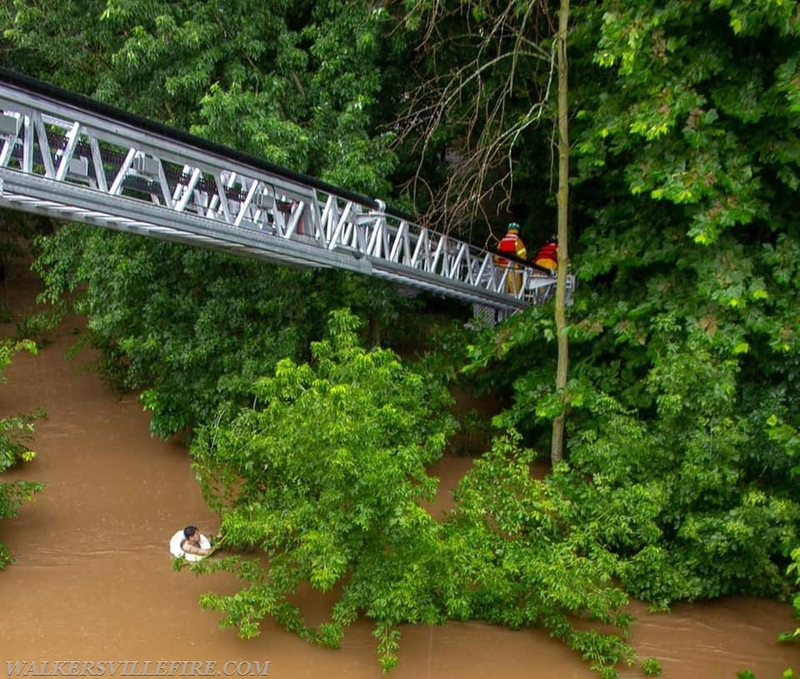 Chief 24 assisted with safety measures during the operation. Both victims were rescued within 10 minutes of unit arrival. Both victims were checked by EMS personnel and refused treatment on the scene. The below write-up is an excerpt from an article written by Jeremy Arias of the Frederick News Post. Photos courtesy of Trevor James. 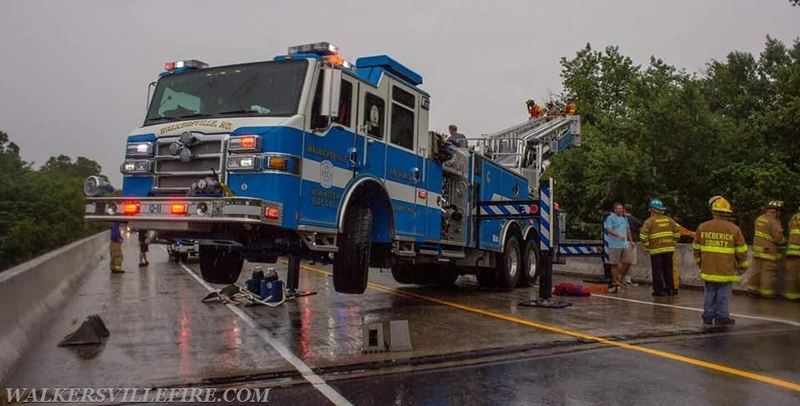 “Fire and rescue personnel pulled off a daring rescue Sunday after two men were stranded on the Monocacy River during a downpour. 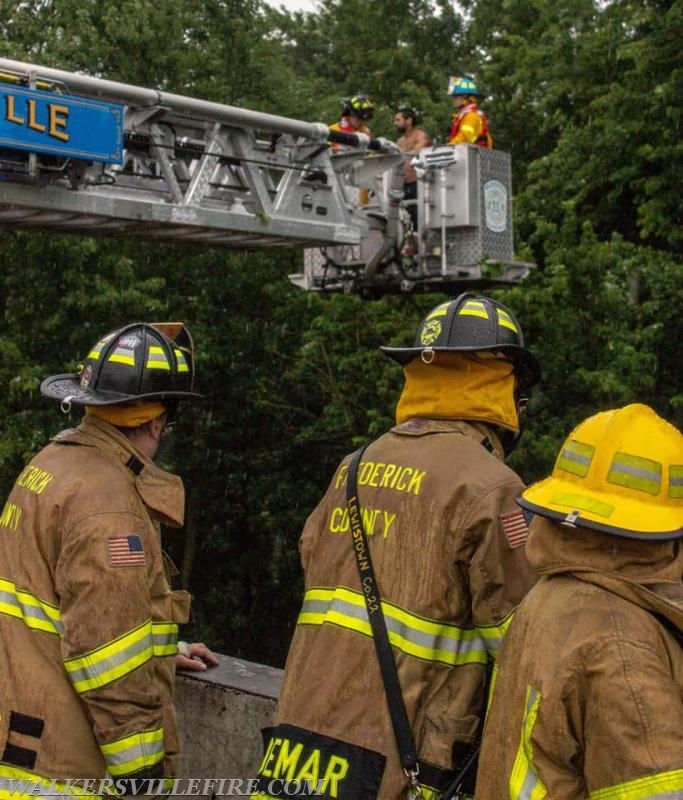 Bystanders called 911 around 3 p.m. to report two men clutching tree branches in the river near the Devilbiss Bridge Road bridge, struggling to stay above the surging current, said Capt. Chris Morlan, with the Frederick County Division of Fire and Rescue Services. 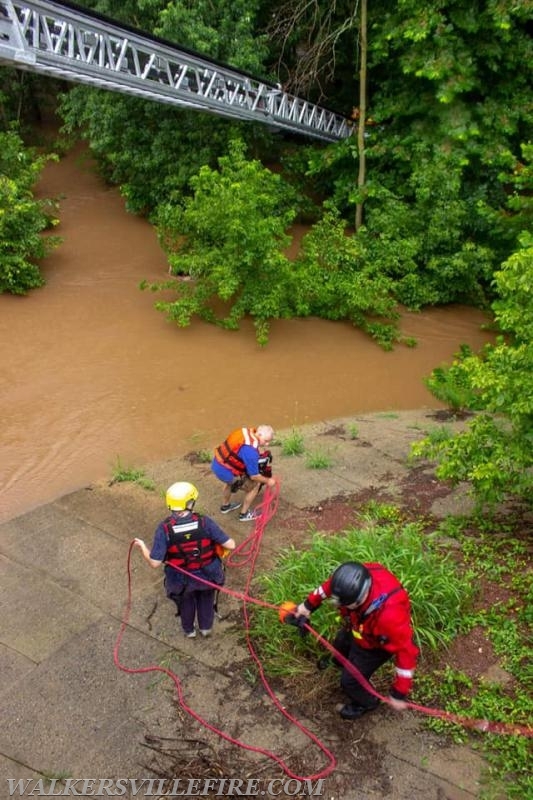 The men embarked on the river in a canoe from where they lived just upriver from the bridge despite the heavy rain and dangerous conditions on the water, Morlan said. 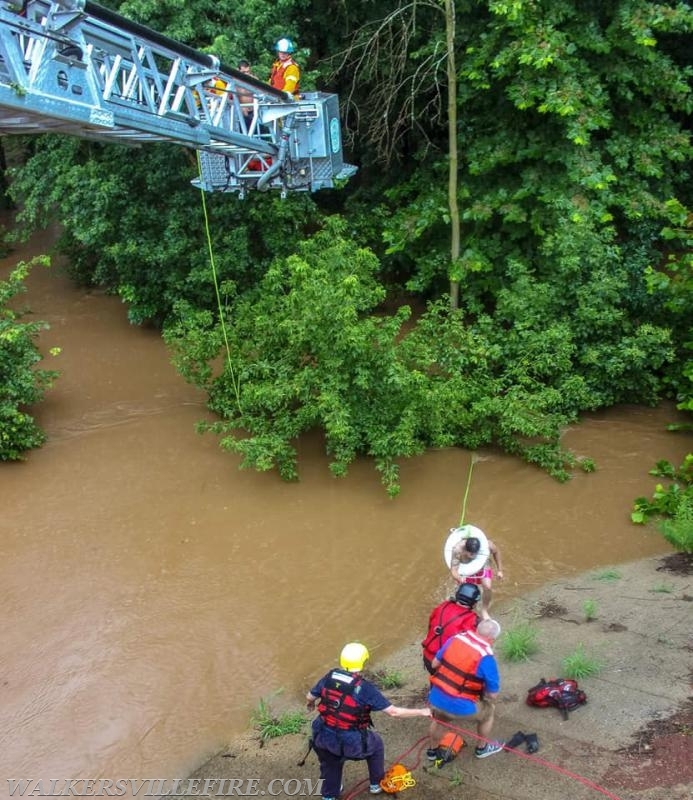 Neither of the men was wearing a life jacket or any other flotation device, Morlan said. 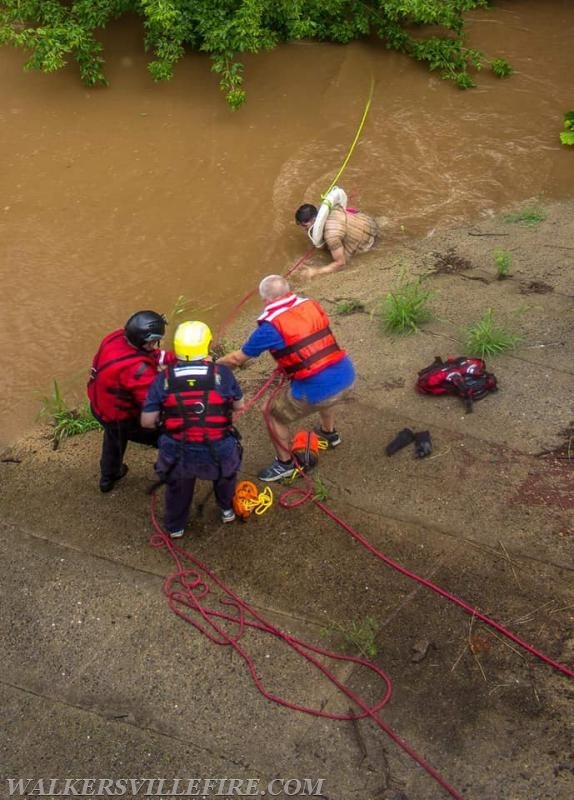 While the men capsized together, they ended up in different spots on the river, Morlan said. 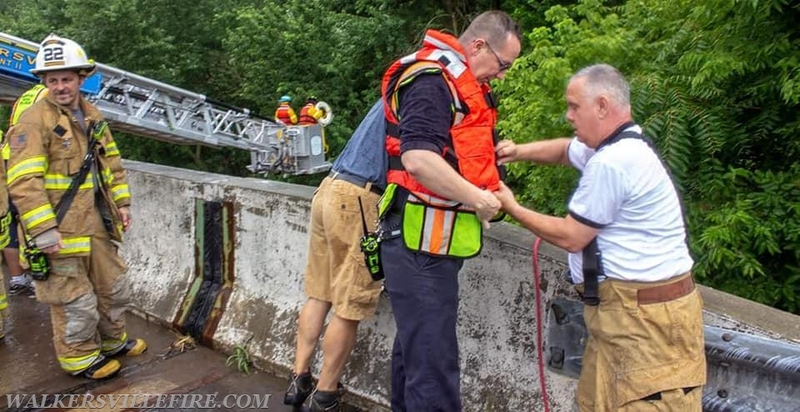 The first man was close enough to the shore and the base of the bridge that firefighters used throw bags to get a safety ring to him and pull him ashore, Morlan said.